July was a fantastically busy time for the POWEs. 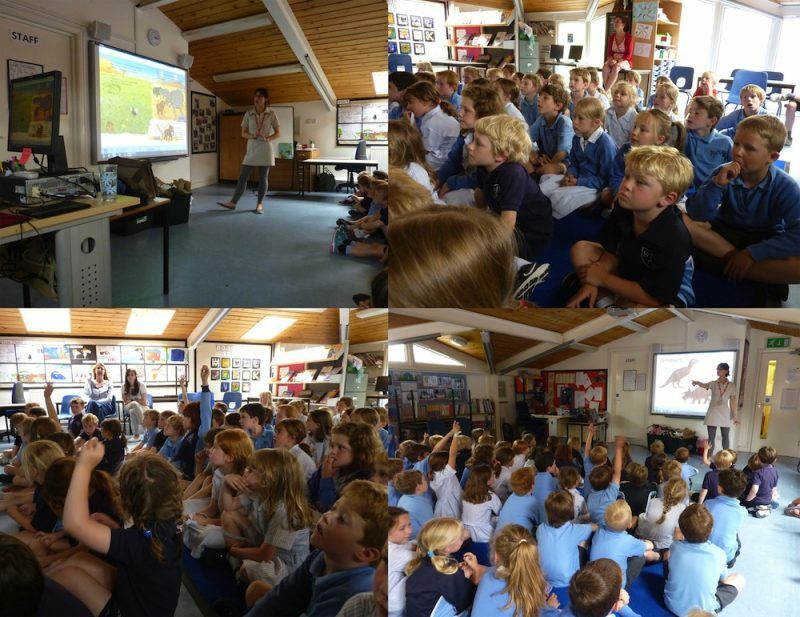 I returned to the UK, to undertake a series of school visits at local primary schools in my old home town of Henley. “Does Immy have nice dresses and when does she wear them?” – I said that I thought she probably does have some but that it’s easier to save wildlife when you’re wearing dungarees! “How many adjectives did you use in the book?” – I was totally thrown by that question! “What do you wear when you write?” – I’m not sure what he imagined I might wear…perhaps a safari suit or an elephant costume, but alas I most commonly wear pyjamas. “Poachers shoot animals and they go to university.” – Interesting! I love doing school visits. Children are so engaging and enthusiastic. I always come away on cloud 9, feeling inspired, encouraged and hopeful. On this school visit book tour there were a couple of moments where these feelings were even greater…. After we’d finished drawing, a little boy sat at the back, wrote on his paper Thank You! in massive letters and held it up. You’ve got to be on your toes during a school visit as sometimes things can go off on tangent. At one visit I was showing the children the map from the book and talking about how far Australia (where I currently live) is from the UK and I explained that it was nighttime there now. “But how is it nighttime in Australia now?” asked one little boy. Well, that then brought on a whole discussion about the earth spinning on its axis. You just never know what direction a school visit will take! How do I sum up my time at the schools of Henley – fantastic schools, inspiring kids, great fun! I can’t wait to come again next year!